This past winter, the rare ringed seals of Lake Saimaa received a lifeline via man-made snowbanks. The seals were struggling to find nests to give birth, so a group of volunteers, including WWF, went to work to create snow banks for them. Out of the 81 pups born months later, 90% were born in these man-made snowbanks. 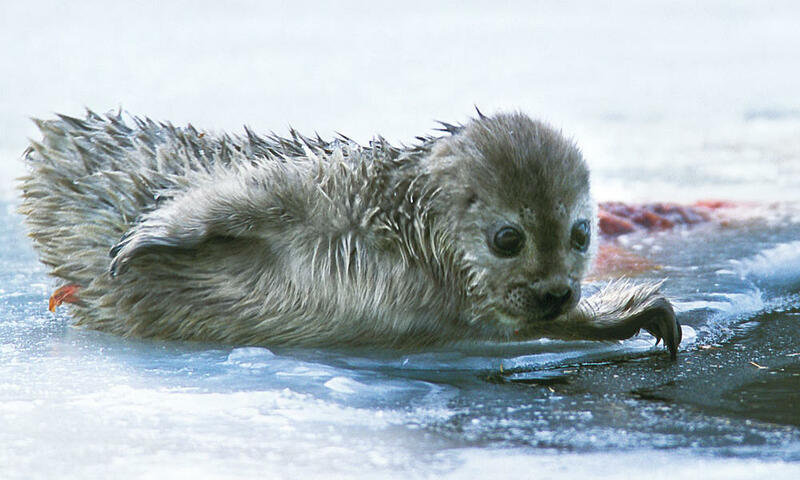 With an estimated 360 individuals left in the wild, the Saimaa ringed seal is one of the rarest seals in the world. Found only in the Saimaa water system in Finland, the seals face increasingly low-snow winters due to climate change and this makes nesting more difficult. The ringed seal gives birth to its pups in a cave-like nest that it builds inside a snow bank on top of the lake’s ice. In recent years, there has not been enough snow for the seals to build nests and they have had to give birth to their pups on bare ice, where they have no shelter against predators, the cold and other disturbances. The man-made snow banks make it considerably easier for the pups to survive. The operation is coordinated by the Finnish Metsähallitus (Parks and Wildlife Finland) and a large group of volunteer workers take part in it every year. This past winter, nearly 280 artificial snow banks were made, which saved the nesting season of the Saimaa ringed seal. “Making these snow banks is a prime example of concrete and productive nature conservation. The volunteers who helped to build the snow banks have once again done a great and worthwhile job to help the Saimaa ringed seal. Without this large group of volunteers, the operation could not have been completed all throughout the Saimaa region”, says Petteri Tolvanen, WWF Finland’s Head of Program. WWF Finland has worked in many ways to protect the Saimaa ringed seal since 1979 and thanks to these efforts, the population of the Saimaa ringed seal, previously facing extinction, has been preserved and even increased. But the seals will need protection for years to come. In addition to climate change, the Saimaa ringed seal is threatened by fishing nets and disturbance. WWF aims to get the Saimaa ringed seal population up to 400, which is considered the level at which a population is deemed to be safe.